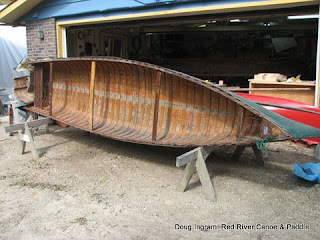 Just did a survey on this old Tremblay flat transom canoe. It had some previous repairs attempted. 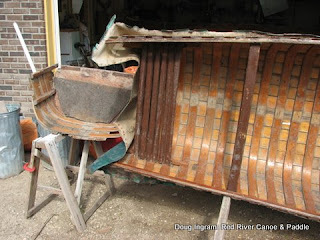 Somebody thought that the best way to replace the rotted transom was to cut the whole thing off! What were they thinking?